Designed as part of the Ikea Lab idea development program, the Growroom is an open source vertical garden. It is designed specifically to be effective in small urban spaces. The Sphere-shaped structure’s design allows light and water to reach every level of the garden while still providing shade and shelter for visitors within. This can help communities to become more agriculturally self-sustainable. In other countries such as the Netherlands a leading supermarket has created an in store herb garden, so that customers can pick their own herbs. As a part of the Growrooms goal of increasing local food sustainability, local makers only need the basic tools to construct the garden. The entire structure is made from plywood, a material that is fairly easily accessed. Everything Grows does not construct Growrooms but this was something that we wanted to post for an eco friendly structure that can be a helpful DIY. Below is a photo of an indoor green wall that Everything Grows provides. 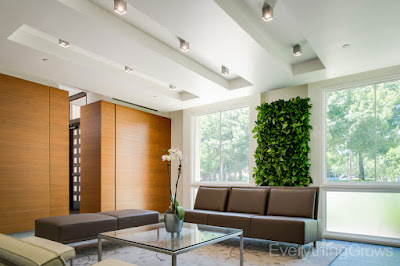 Contact Everything Grows today if you are ready for the benefits of beautiful interior plants in your workspace. We service the entire San Francisco Bay Area, with our expertly trained plant care technicians taking Amazing care of the plants in your facility. 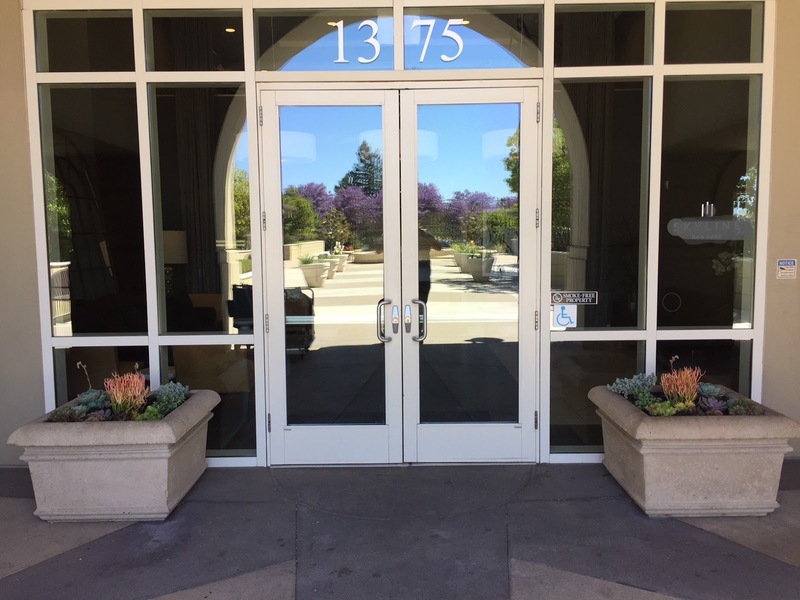 We were asked to freshen up the containers outside the front door at this Silicon Valley office building and came up with this elegant succulent arrangement that really goes well with the concrete containers and the glass and concrete entry. The lighting is just right so the succulents should thrive in this location. Contact Everything Grows today if you are ready for the benefits beautiful, high quality succulents and lush living plants in your workspace. We service the entire San Francisco Bay Area, with our expertly trained plant care technicians taking Amazing care of the plants in your facility. Everything Grows just received a large shipment of grade A commercial tropical plants to kick off the summer growing season and our shelves are full and ready to serve our commercial plant customers. We have a wide range of table top foliage and flowering plants as well as lush green floor plants for your workspace, lobby, hotel, or office building. Our racks are full at Everything Grows! Time for an orchid arrangement on your reception desk? Contact Everything Grows today if you are ready for the benefits beautiful, high quality living plants in your workspace. We service the entire San Francisco Bay Area, with our expertly trained plant care technicians living in close proximity to their routes. Not only are we green on the inside of your building, but we are certified green on the outside as well!